Tam of View From the Porch acquired a new antique gun the other day. She scored a Smith & Wesson Hand Ejector Model of 1905. 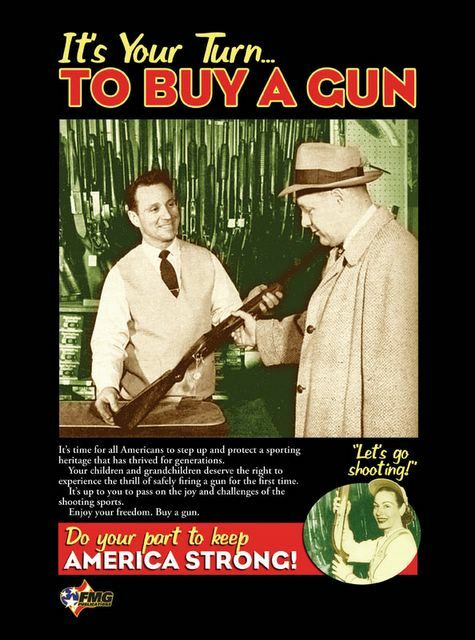 I own one of these firearms and Tam’s post inspired this One From the Vault. Hand Ejectors are fine guns and interesting pieces of history. Smith & Wesson needed to figure out new ways of building guns. They had long built top-break revolvers like the New Departure. Mechanically, it proved hard to build a top-break strong enough to withstand heavier pressures that smokeless powders produced. At least it was difficult to do without building a bulky, clumsy lock. Smith & Wesson engineers rethought the whole process and designed revolvers with cylinders that swing out from the frame. The modern revolver was born. There was a problem with swing-out cylinders though. They didn’t eject spent cartridge casings automatically. With top-break revolvers you could use the pivoting barrel to load a spring which tripped an ejector rod/star which tossed out casings. You couldn’t easily make casings eject automatically with a swing-out cylinder. So, designers decided that a little do-it-yourself was in order. They added a rod to the cylinder’s front, which the user pushed back to eject casings. Someone nicknamed it a "hand ejector" and the name stuck. The Model of 1905 was the first to be built on a K frame and was made until 1940. While the model stemmed from earlier models, it in turn became one of the most venerated of Smith & Wesson’s revolvers. With a few changes the Model of 1905 became the Military & Police Model also known as the Model 10. Hand Ejectors were popular and were made for a number of years. Collectors have defined eight design "changes" that were made to improve the revolvers. All told 144,684 of these guns were made. My gun is a first change and I had it "lettered" a couple of years ago (the letter is where I got the production figures—thank you Mr. Roy Jinks of Smith & Wesson). It left the factory on March 24, 1906 and went to a distributing company, M.W. Robinson, Co. of New York City. That company shipped all over the country. It was shipped with a nickel finish and wood grips now long gone. My revolver ended up in Idaho where my father acquired it in the 1960s. The gun had belonged to a town Marshall. If you look closely at this picture, you’ll notice there’s a notch in the after-market stag-horn grips. I wish I had more history on it, but the gun can’t speak. The outside of the gun is in fairly good condition and all serial numbers match. The bore leaves a lot to be desired. It’s pitted because someone shot black powder or corrosive-primed cartridges and hadn’t cleaned it adequately. Also, the ejector was repaired and doesn’t have the correct tip. Still, I hope I look that good if I’m ever 101 years old. Hand Ejectors were chambered in a variety of cartridges. Like Tam’s, my gun is chambered for the .32-20. Winchester created the round in 1882 for their lever-action rifle. The medium-powered cartridge had a great reputation for taking small game. Many people liked having a revolver chambered in the same round as a rifle and .32-20s were fairly popular. It’s not seen much today, although it has enjoyed a bit of a renaissance with Cowboy Action Shooting. I’ve shot the gun and for having a pitted bore, it shoots decently. Still, I don’t plan on shooting it much. It’s more of an heirloom now than a shooter. One way or another, this firearm will remain in my family. Gun-banners hope to make handgun possession illegal one of these days. They don’t feel the tug of history, family heirlooms, or even see guns as examples of technology’s evolution. They’re wrong, we’re right. They need to get over themselves.